The community page for San Rafael, CA in Marin County has become a veritable gallery for graffiti photography. I thought I'd highlight the hard work of a few local community activists (one of whom goes by the cool handle of Expert_Marksman) who are using SeeClickFix to comprehensively document the graffiti problem around their town. An article published on Businessweek.com today describes SeeClickFix as riding a wave of technological change so important that some liken it to the development of highways, GPS, or even the internet itself. This wave is the Gov 2.0 movement, which draws on public data to create innovative apps and services to "boost government transparency, efficiency, and responsiveness." The article–"Gov 2.0: The Next Internet Boom" by business journalist John Tozzi–compares the potential effect of Gov 2.0 enterprise on governance to the effect of blogs and YouTube on media. As SeeClickFix CEO Ben Berkowitz described it, it's a way of "redistributing governance to the hands of citizens." What's interesting about Gov 2.0 is that the innovation grows out of new efforts from the White House to release public data, spurring app design and creating new windows for entrepreneurship. According to Tim O'Reilly, host of this week's Gov 2.0 Expo, "This is one of those amazing outcomes where the government does something small that has a huge impact on the economy." While many Gov 2.0 apps grow out of government competitions, others, like SeeClickFix, "aren't waiting for government to open up. Instead, they're creating Web apps that help push officials and agencies to be more transparent and responsive." So we're a bit impatient... But waiting for bureaucracy is so 20th century. Scranton, PA's newspaper the Times-Tribune posted our widget on Tuesday. Check it out here. SeeClickFixer Alyson Fox of New Haven, CT documented two car crashes at an intersection with bad signage since she posted her issue three months ago. When will a fix come? A dead tree threatened to fall on and crush Charlotte, NC resident Art Prince's home. 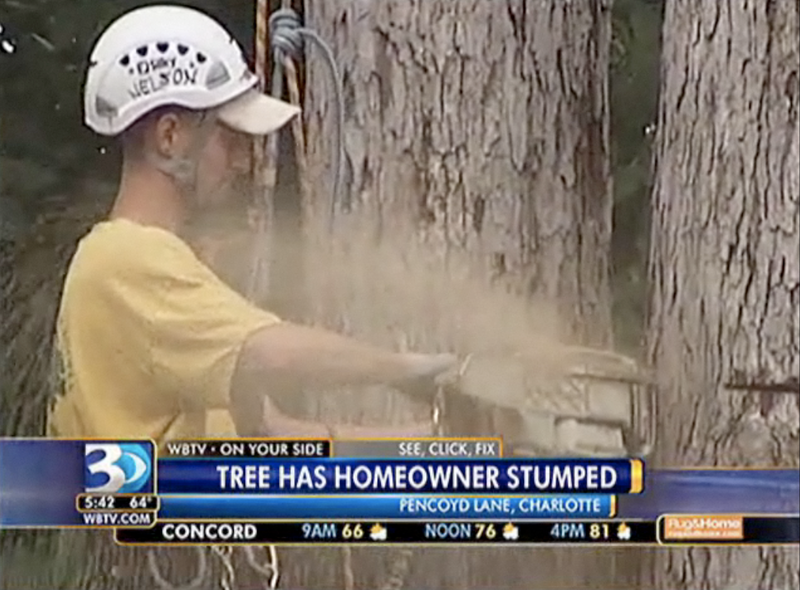 He tried in vain for six months to get the property owner to cut it down. After posting the issue on SeeClickFix, the tree was axed within days. The local TV news channel WBTV chose this problem as its weekly SeeClickFix feature and was instrumental in getting it resolved. (Click here, here or here for back stories). 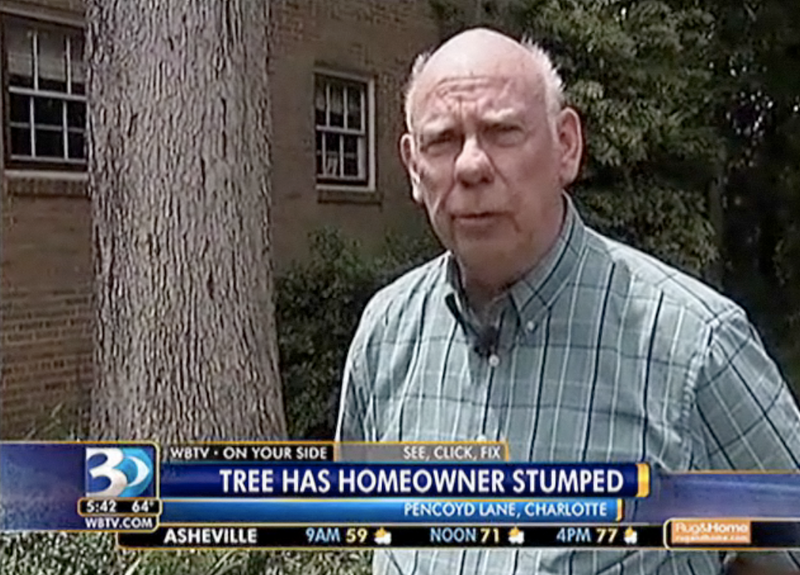 According to a recent news segment, the tree sat on a foreclosed property owned by Bank of America. Prince was tired of sweeping the detritus from the tree off his driveway every day and worried for his safety. 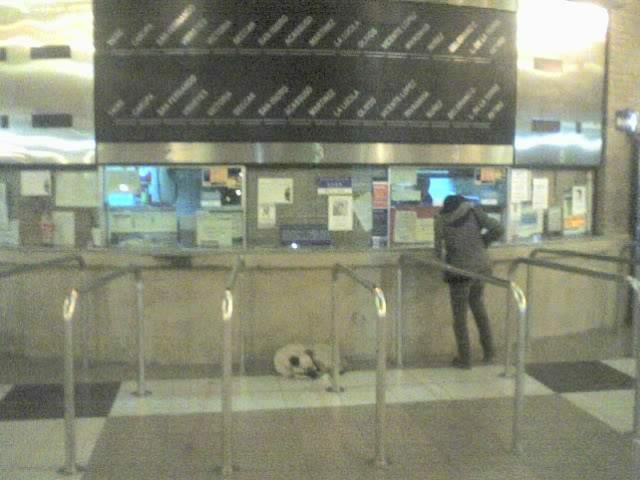 He had sent several letters to BOA for months to no avail. After WBTV got a hold of the issue on SeeClickFix, BOA suddenly had time to take care of the property. A crew was sent out almost instantly. "What Art tried to get done in six months was done in four days" said anchor Christine Nelson. The problem is a testament to the unique set of concerns prompted by the foreclosure crisis. 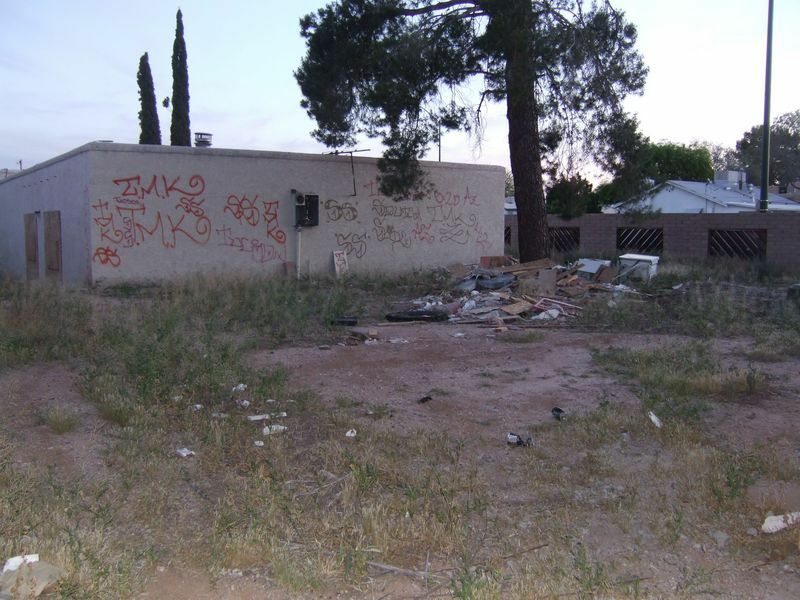 Abandoned homes with absentee property owners are creating strange and uneasily resolved problems in communities around the country. And more and more people are turning to SeeClickFix as a strategy for getting these problems fixed. SeeClickFixers in Pontiac, MI cleaned up graffiti in Jaycee Park in response to a SCF issue. SeeClickFix is more than just reporting pot holes. According to Arianna Huffington, it can be part of a strategy to recuperate "unshakable meaning" in an uncertain time. By connecting community members, SeeClickFix can help fulfill this longing. Click here to read the full article. Last week, Pontiac, MI Councilman Randy Carter created a SeeClickFix issue for an abandoned home on Yale Avenue (at right). 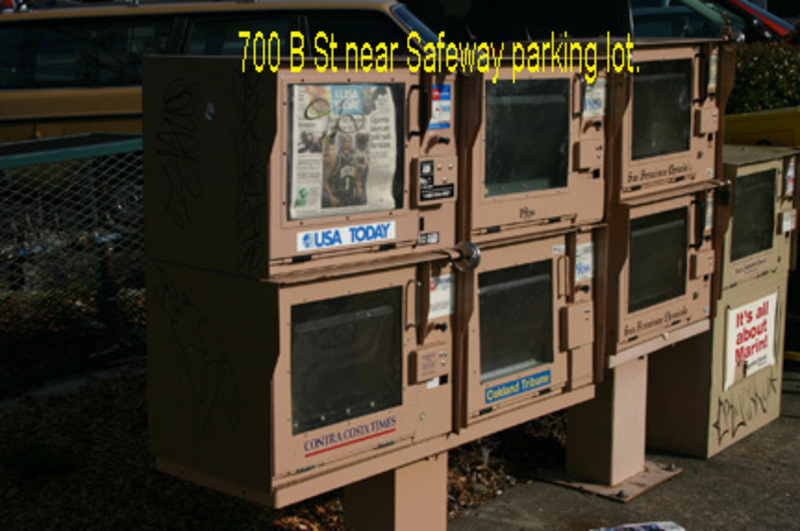 It's been in this condition for over two years, he wrote, and the city had neglected to add it to its demolition list. 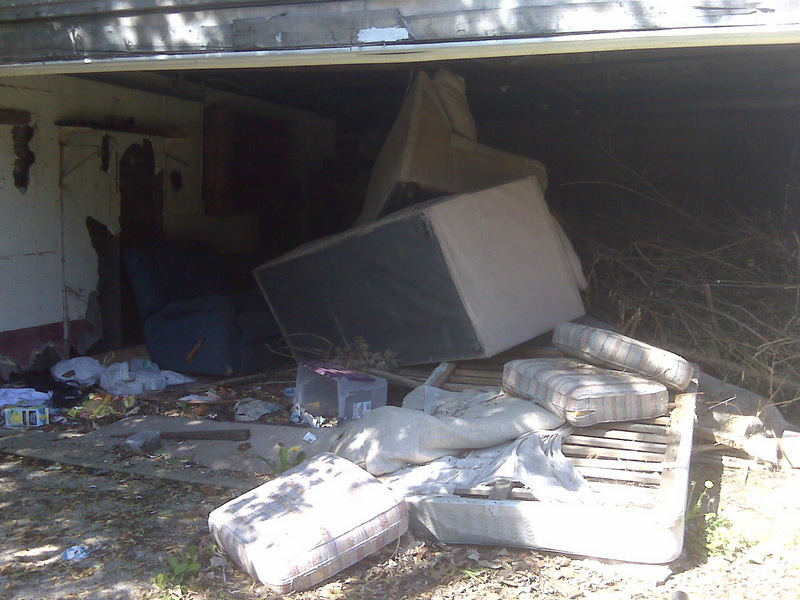 Another resident commented that she's seen "squatters inside at night." Just one week after raising awareness about the problem on SeeClickFix, Carter posted an update: the house has been demolished! Check out the photo of the site on the right. A classic "before and after". 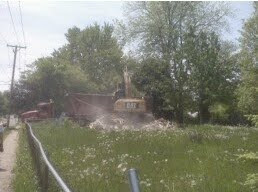 The city also knocked down a house on Columbia Avenue. Congrats to Councilman Carter and the residents of Pontiac for making change happen in their town. 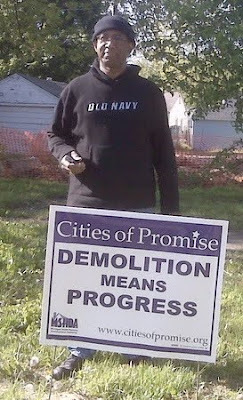 As the sign says, "Demolition Means Progress." 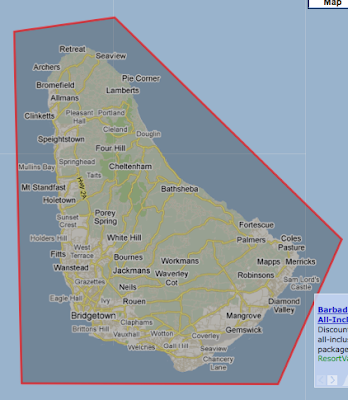 Our newest international community page was created today...in Barbados! A SeeClickFix issue about a dangerous intersection in Chicago led to a police "sting" on Tuesday night. A transportation reporter for the Chicago Sun-Times wrote that plain clothes cops were posing as pedestrians in the crosswalk at the intersection of Belmont and Seminary. Cars that did not yield were pulled over and ticketed. I think they had pulled over every other car -- it was crazy ... They must have pulled over about a hundred or so cars throughout the sting. I think it's a great idea they did this sting, to be honest with you. In the time frame I have lived here, I have seen so many people almost hit or run down, it's insane. I had even posted something about this issue way back a few months ago here is the link. Any suggestions for Matt on what his neighborhood can do to turn a temporary fix into a permanent one? Post them here. It seems likely that the future of civic complaint websites will be increasingly mobile as internet-capable mobile phones become more common in developing countries. We believe that citizens are more likely to file a complaint if they are able to do so immediately from their mobile phone, rather than waiting to return to their computer. Platforms like... SeeClickFix in the United States reveal the potential of marrying mobile applications with web-based map interfaces. The SeeClickFix complaint platform has even been adopted by some politicians, such as Bronx city councilmember Fernando Cabrera, who has put SeeClickFix right on the front page of his website. We apologize for any inconveniences that this is causing. We appreciate your patience! Last week we posted a letter from the Road Commission for Oakland County describing the financial woes preventing them from repairing problems posted on SeeClickFix. But Oakland County's isn't the only Michigan road commission struggling to find cash to repave its streets. 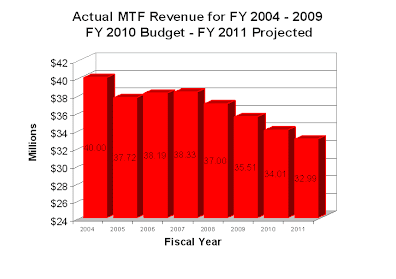 The Road Commission for Macomb County sent us this graph (pictured below), which shows their funding for repairs in steady decline since 2007. 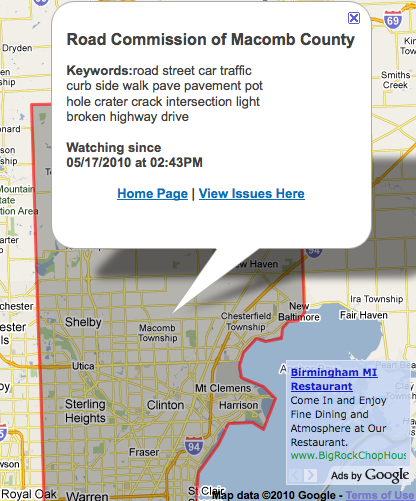 Despite budget cuts, Oakland County is on board to make SeeClickFix fit their needs. We created a county-wide watch area today (pictured at top), so that the road commission can keep on top of its issues. 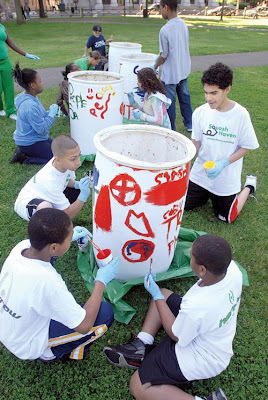 New Haven youth helped clean up the city's Center Green this weekend. SeeClickFix promoted the event with its new Community Action feature. Click here to read the full article in the New Haven Register. The City of Lorain, Ohio began repairing the much beleaguered Pearl Avenue, according to a Morning Journal report this weekend. The city blocks north of E 36th Street have been substantially upgraded, according to Lorain Public Service Director Robert Gilchrist. This is an improvement from two weeks ago, when the city told the Morning Journal that there simply was not enough money in the budgets to make the improvements that SeeClickFixers were requesting. Still, there is considerable work left to be done. 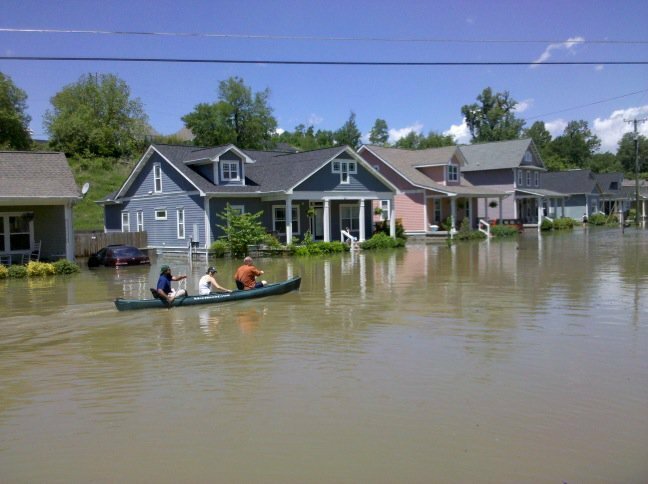 "Some streets are beyond just patching," Gilchrist told the Journal. "They need to be replaced. It boils down to funding and manpower." Many issues on SeeClickFix (click here, here, or here) address the section of Pearl Avenue south of where the city has made repairs. We salute the city for their attention to issues on SeeClickFix so far and hope to see improvements on this section of Pearl Avenue soon. The survival of newspaper companies will depend on their ability to make significant changes to their digital strategies. Partnerships with outside specialists, like SeeClickFix, can be an important aspect of new digital tactics, by boosting traffic on newspaper websites. This was the messaged that John Paton, chief executive of the Journal Register Company (JRC), delivered at the annual conference of the Canadian Newspaper Industry in Toronto, according to Friday's article in the Toronto Star. Paton was recently brought on to help save CanWest–the country's largest chain–from bankruptcy. CanWest publishes 11 major dailies, including the National Post, Ottawa Citizen and Vancouver Sun. As chief executive for the JRC, Paton supported the company's partnership with SeeClickFix that launched in April. He called the JRC "the poster child for what ails the newspaper industry. None of these companies will survive unless we profoundly change." SeeClickFix continues to be part of that change by collaborating with our media partners to reach out to their readers in new, interactive ways. The ailing economy, the foreclosure crisis, the tanking housing market, and high unemployment have coalesced into an economic storm perfectly positioned to wreak havoc on America's neighborhoods. SeeClickFix has become a repository for imagery of abandoned and severely blighted homes in towns and cities throughout the U.S, as users document quality of life issues and discuss potential clean-up events. Here are some photos and quotes from our users, which provide an inside look into the everyday concerns sparked by the housing crisis. Pontiac, MI: "the house is so charred, the roof caved in over the porch [...] A strong wind could knock this place down." Haltom City, TX: There are "Rodents and now cats that come into my yard from this overgrown and filthy location." 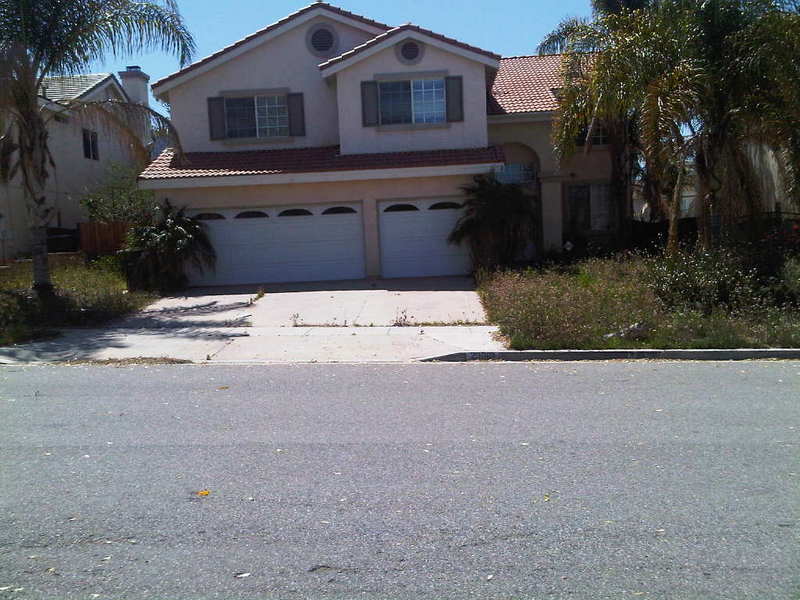 Tucson, AZ: "This house is boarded up and its backyard is being used for wildcat dumping"
Corona, CA: "Property abandoned and weeds are out of control!" "The mosquitoes in the green pool are a nightmare as well!" Pontiac, MI: "burned out house, open to trespass"
New Haven, CT: This house "is a hazard for kids that play around there[...] it has been there for ages now." 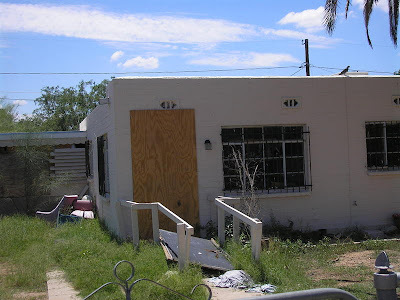 Tucson, AZ: "vacant, boarded up, broken windows, homeless breaking into it, high weeds"
Pontiac, MI: "This house has sewage, rats and mold. It is also used for illegal activities." 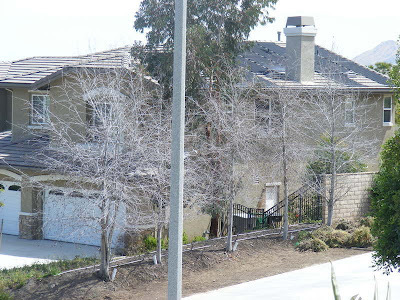 Corona, CA: "The row of trees are completely dead and should be removed because of fire hazard [...] This is bad for property values." 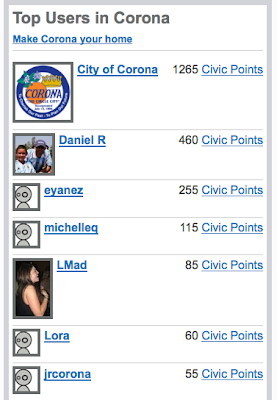 Corona, CA wants its residents to start using SeeClickFix–so much so that they're willing to offer an incentive. In a press release on their blog last week, the city announced that the first 5 residents to earn 200 civic points will receive a gift package including a Starbucks giftcard and a T-shirt. We love this idea. SeeClickFixers in Corona will not only help out their city, but do so while looking fresh and feeling caffeinated. Congrats to users Daniel R and eyanez who already surpassed the 200 Civic Point mark! We look forward to seeing who else comes out on top. 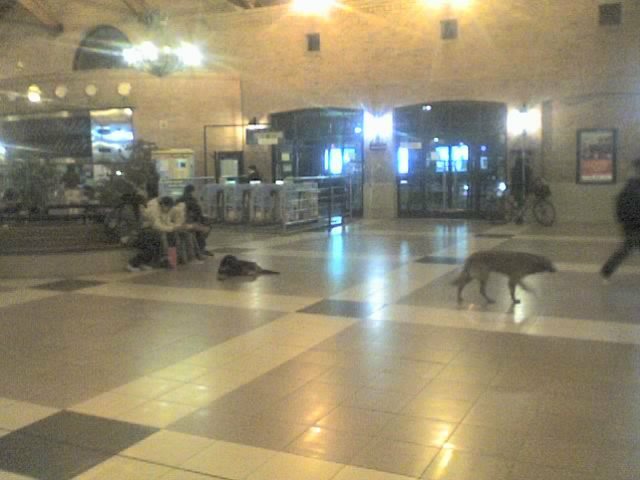 Wild dogs roamed around train stations in the Tigre section of Buenos Aires, Argentina earlier today. Check out Issue 37047 to see the rest of the photos. The SeeClickFix community in Michigan has grown significantly over the past month, thanks to our media partnership with the Journal Register company. 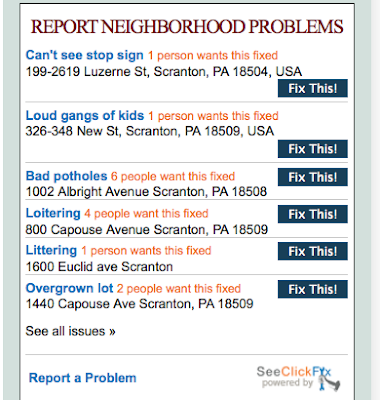 Using widgets on sites like The Oakland Press and The Macomb Daily, Michigan residents have posted hundreds of quality of life concerns on SeeClickFix. And they've caught the attention of the government. 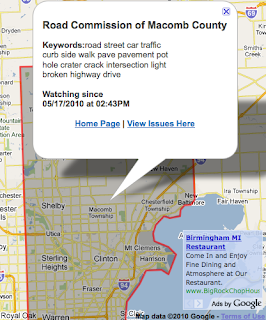 The Road Commission for Oakland County has posted several lengthy explanations on SeeClickFix issues about budget cuts which are preventing them from making new fixes. The infrastructure is literally crumbling as a result. Check out this letter, posted on issue 36967 for repaving Joslyn Ave. in Pontiac, MI. While it's too bad that certain fixes aren't in the budget for this year, we appreciate the Road Commission's honesty and transparency when using SeeClickFix to address Oakland County residents. We hope that SeeClickFix can help Oakland County save money in the long-run, as cities like Tuscon and San Francisco have pointed out, since the service helps government more efficiently target quality of life concerns. Riverside, CA's newspaper The Press-Enterprise featured SeeClickFix in a story Wednesday night about our new partnership with the neighboring City of Corona. On May 4, the city went live with SeeClickFix Plus, which allows Corona citizens to channel service requests to the appropriate city departments using the SeeClickFix smart phone app. Darrell Talbert, director of the Corona Redevelopment Agency, explained why SeeClickFix works better than traditional call-based reporting: "So many times people see something on their way to home or work. Life gets kind of busy and you forget to report it. Also, sometimes you don't forget to report it but you can't get the right department," he said. SeeClickFix Plus's smart phone apps find the appropriate department for the citizen's request, which eliminates that barrier to speaking up. Talbert also praised the way that SeeClickFix enables citizens to know when their issues are 'Closed' or 'Acknowledged,' based on the site's labeling system. "It's much more of an immediate reward system. People feel like they're making a difference." The illegal use of dirt bikes and ATVs on urban streets is a perennial issue on SeeClickFix. Users from New Haven, CT (where the above photos were taken) to Great Neck, NY, to Santa Fe, NM, to Painesville, OH have already reported disturbances caused by the reckless tooling around on these vehicles that explode into life each spring as consistently as tulips. I thought it'd be helpful to take a look back at past dirt bike issues on SeeClickFix to reflect on how to solve the problem this summer. SeeClickFix can be a great way to keep tabs on dirt bikers, who are particularly difficult for cops to stop. They often come and go so quickly that no one even has time to take a photo, and "no chase" policies in some cities prevent cops from pursuing them. Last year, SeeClickFixers spent two months tracking the "lime green" biker before the bike was finally confiscated. This year, it seems like the police have gotten off to a good start. Just two days after a SeeClickFix issue was opened, the NHPD busted two dirt bikers last week, thanks to the help of SeeClickFixers who posted tips about the bikers' whereabouts. The trick seems to be to post early and post often. 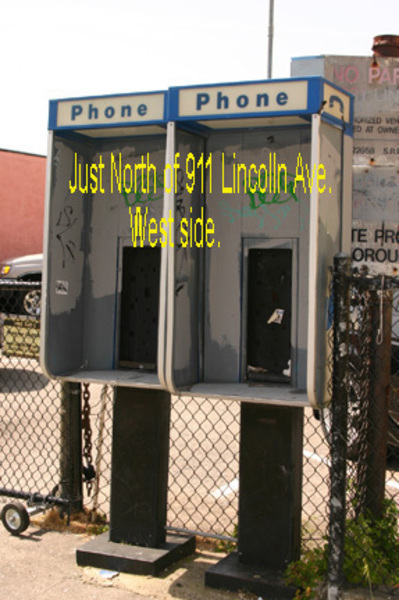 Let your neighbors know about the problem and encourage them to take photos or alert the police. See if there's a pattern for when the dirt bikers show up, and let the police know about it. One user mentioned talking to local gas stations/ garages to see who is coming by to buy parts/ oil for their bikes. 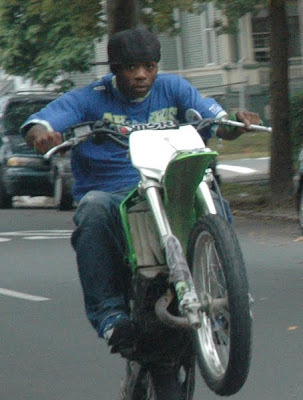 Getting dirt bikers off the streets is a tough but important fix (in 2008 in New Haven, a 15 year-old-died in a crash). Using SeeClickFix can hopefully contribute to stopping the problem before it gets out of hand. SeeClickFix is testing a new feature among its users in New Haven. 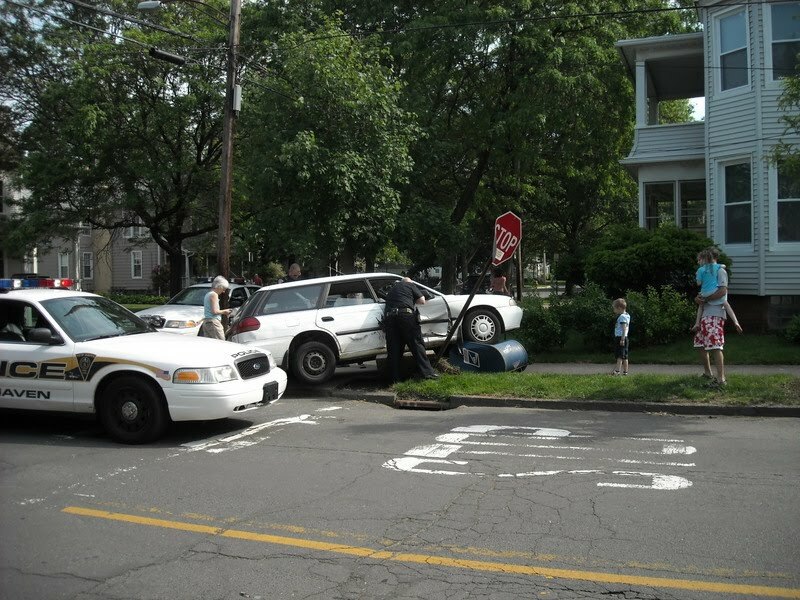 From now on, when New Haven residents view a local issue on SeeClickFix, they'll be encouraged to suggest 'Community Actions' to help get that issue fixed. Community organizers can create 'Events' based on these suggestions, like community meetings or park clean-ups, and publicize the event-details on SeeClickFix. The decision to add this feature grew out of the company's mission to be as action-oriented as possible and to encourage local communities to work together to help themselves. SeeClickFix's discussion boards have become important forums for the dynamic exchange of ideas and solutions among neighbors. By adding the new "Community Actions" feature, SeeClickFix wants to encourage users to translate the connections made on social media into the physical world, by coming together as a community to fix pressing issues. Public space advocates have already used the feature to schedule several events in New Haven. SeeClickFix CEO Ben Berkowitz spearheaded the new feature on Sunday, by using SeeClickFix to invite neighbors to a community planting event in the Upper State Street area. Another neighborhood activist has taken advantage of the feature to post details for an upcoming community meeting in The Hill neighborhood. SeeClickFix is using the Community Action tool to publicize a community clean up of New Haven's Center Green this weekend and would like to extend an open invitation to the New Haven community. SeeClickFix's first Pro client, The Town Green Special Services District, will lead the clean-up on Saturday, May 15 from 8-11 AM to prepare The Green for an action-packed summer, full of concerts and sunbathing. Click here to RSVP for the clean-up! Sometimes a fix takes a different shape than you would imagine–in the case of Issue 34124, that shape was a "tribal pattern," as one user described it. Behold the exotic 'before' and 'after' that took place on a Fair Haven fence, as documented on SeeClickFix. 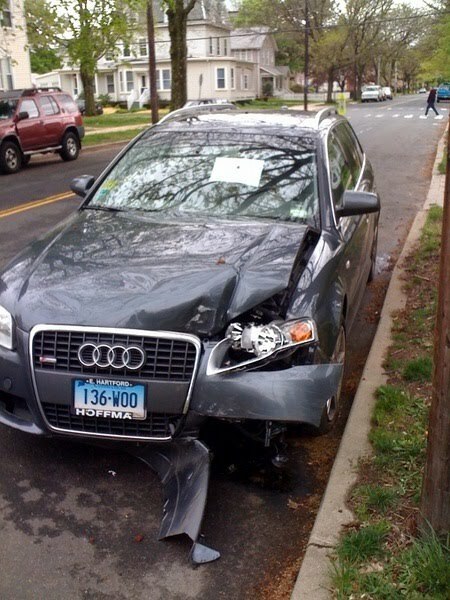 In late April, a fixer from New Haven's Fair Haven neighborhood reported that a local fence had been tagged. 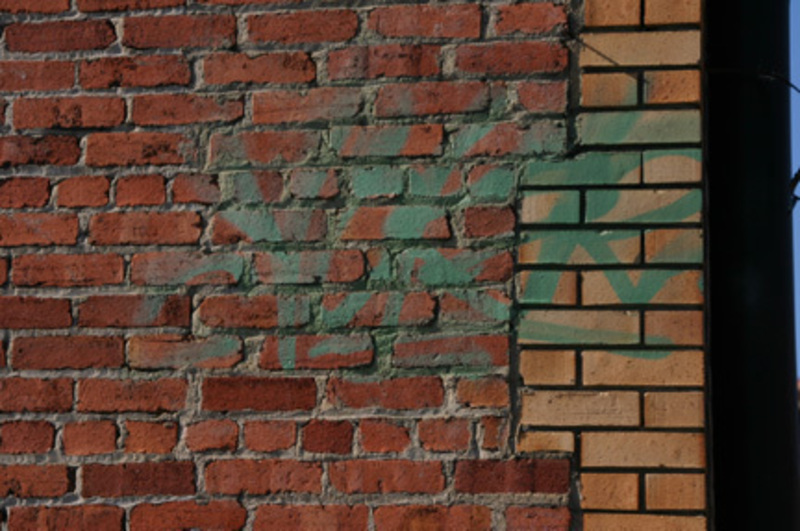 While she probably had hoped that someone would remove the graffiti, today a photo of the current state of the tag was added to the issue page. It appears as if an artsy neighbor has reworked the vandal text into a creation more "experimental art project" than "ghetto," said one fixer. The graffiti has been covered up by the beginnings of a mural. A curvy, organic shape–like a large sunflower reaching out with spiny tendrils–has replaced the rather mundane and unimaginative letters that once blemished the wall. The issue hasn't been closed yet, so it's unclear whether or not the community considers this to be a true fix. But at least one neighbor says that she's "open to creative suggestions." After San Francisco and DC's announcement of their adoption of the Open311 Standard, SeeClickFix got some nice shout outs for our work making open government a reality. In an interview on GovFresh.tv, Phil Ashlock of OpenPlan.org mentioned SeeClickFix as one of the important collaborators that worked to make the Open311 Standards a reality. Listen for the reference a little more than 5 minutes into the following clip. Focus ... on what's real. Getting the garbage picked up, getting a pot hole fixed. Those are real things. And real things not only do stuff that's of use to us, but it also shows people that something new is happening in government and we all need to get together on it. Listen for it about 5:45 into the video. Watch Where You Park that 18-wheeler!